Yesterday, ICE gave the City of Santa Ana 90 days notice that it will be terminating its existing immigration detention agreement. 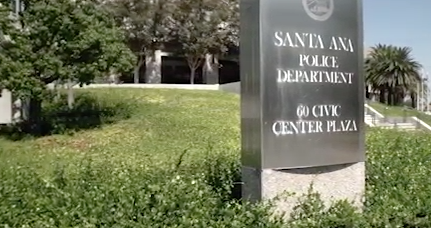 This decision comes a year and 28 days after CIVIC filed a federal complaint against the City and ICE for unlawful and degrading strip searches of transgender and cisgender immigrant women at the Santa Ana City Jail. Within days of our complaint, we had collected nearly 60,000 signatures in protest of the jail’s unjust practices, and we had defeated along with our partners a city proposal to expand immigration detention in the city. In the struggle to help the City of Santa Ana become a more welcoming environment to its largely immigrant population, we worked with the City Manager’s office over the last year to develop a stronger understanding of the reality of immigration detention. In December, the City took a huge step forward by becoming a sanctuary city and decreasing the maximum number of people in immigration detention in Santa Ana. In its announcement yesterday to end its contract with the City, ICE cited as a reason for the contract termination this recent action by the City to decrease the number of incarceration cells at the Santa Ana City Jail for people in immigration detention. “We have been deeply concerned about the well-being of people detained at the Santa Ana City Jail. We continue to be concerned about those who will be transferred from the Santa Ana City Jail to another facility. We urge ICE to release all 74 individuals detained currently at the Santa Ana City Jail. If ICE is unwilling to do this, we urge the Office for Civil Rights & Civil Liberties at DHS to intervene and ensure the release of all asylum seekers eligible for parole,” said Christina Fialho, an attorney and co-executive director of Community Initiatives for Visiting Immigrants in Confinement (CIVIC), a nonprofit that visits and monitors immigration detention facilities nationwide and advocates for an end to the detention system. We hope the City of Santa Ana will take this opportunity to not only free itself from the immigration detention system, but also to invest in developing community-based alternatives to detention. The City issued an RFQ last year to study community-based alternatives to immigration detention. And the City now has the ability to serve as a true model for the nation, free from the profit-driven motives of the immigration detention system. “The Trump Administration has declared war on immigrants with an expanding detention and deportation force. But we are now ready to defend ourselves here in Santa Ana. Immigrants and their allies in Santa Ana and beyond have been fighting against the immigration detention system for the last three decades. CIVIC has eyes and ears inside this unjust system, and no matter where our community members are detained, we will be there to hold the federal government and individual officials accountable until all immigrants are free,” said Fialho. You can read more in this Los Angeles Times article.